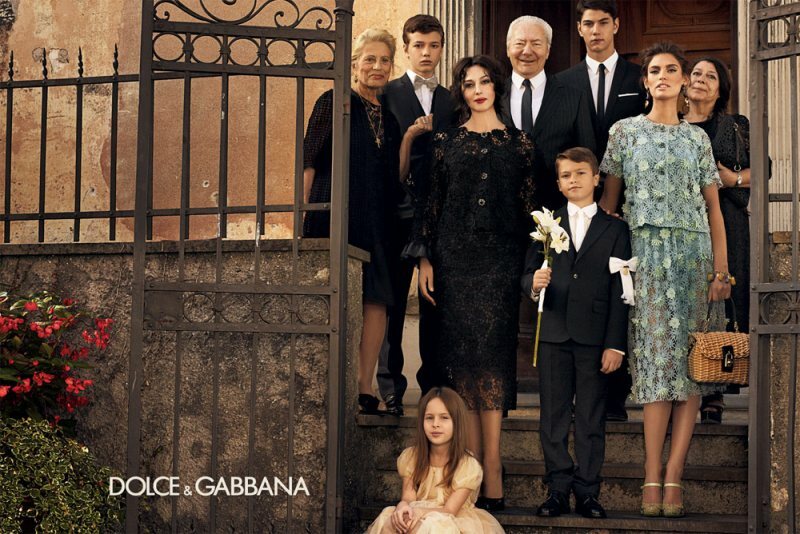 In the spring 2012 campaign of Dolce & Gabbana, Bianca Balti and Monica Bellucci become the matriarchs of the traditional Italian family. The photographs breathe hot air and passionate emotions by portraying a bunch of people in Southern Italy, enjoying sunny Sunday mornings. Colourful and bright dresses together with lingerie-inspired tops create an ideal image of the women, who are enjoying themselves every moment of their lives.